The watch looks great, really pleased with its quality and size, overall a winner! Since I like bigger watches I bought it for myself even though its a mens watch and I love it, its a good choice for both business and leisure occasions. Service, shipping and everything was as usual A+. Watch is lovely! It’s great quality and they even sent extra links in case of a resize! This son is a gift for my son. highly recommended brilliant gift for a teen not to flashy but still appreciate the name. quick delivery. Lovely product. Purchased for my partner and he was very pleased with the item. Exceptional product, suitable for all occasions and day to day wearing. The watch is outstanding with the colour and is defiantly an eye turner and will gain compliments due to its eye catching appearance. Most defiantly the purchase was exquisite, the product always receives compliments and was worth the price. I bought this watch for my hubby for Christmas. He loves it. Its a really smart looking watch and looks even better in person than on the pic. I would recommend buying from the Watchshop, completely hassle free and speedy delivery. This watch is absolutely amazing. Its got such a sleek and expensive look and feel to it. I ordered it for my partner for Christmas and has it wrapped so it was just as much as a surprise to me as it was for him. 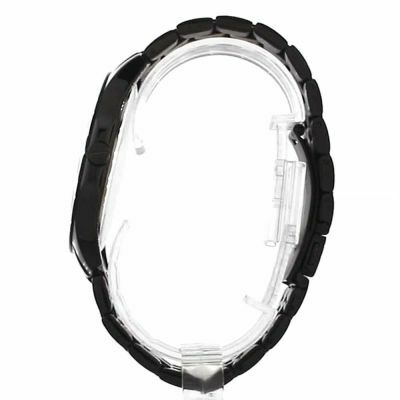 The description is absolutely spot on, it came perfectly packaged and boxed with warranty and plastic protectors to screen, bracelet and back of the watch. It is an amazing watch, size wise perfect, works perfectly and it is amazingly beautiful. Without a shadow of a doubt, one of the best watches I have bought. Thank you Watch Shop, i will, for sure, suggest you to everyone i know. The watch is amazing, it fits my wrist well after adjusting it. I have had people asking me about this watch and how professional it looks. I love the simplicity of this watch and would highly recommend it. Its exactly as I thought it would be, I just need to get the fit adjusted, which is fine. Lovely clear watch easy to see the time. Very stylish, bought as a present. Pleased with product, would recommend. Very stylish watch. Excellent quality, heavy feeling watch which confirms good quality but not too heavy to wear. 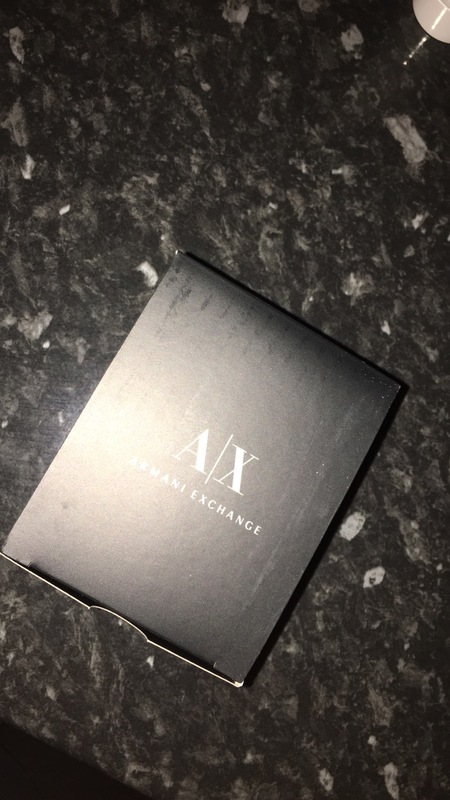 Got this as a Christmas present for my boyfriend look perfectly fine in the box but he has not yet tried it on as it is not yet Christmas. Lovely watch bought as a present. Exactly as pictures. Came in a lovely box too. Very happy with the watch, it looks as good as the online photos if not better, was very happy with how fast the delivery came. 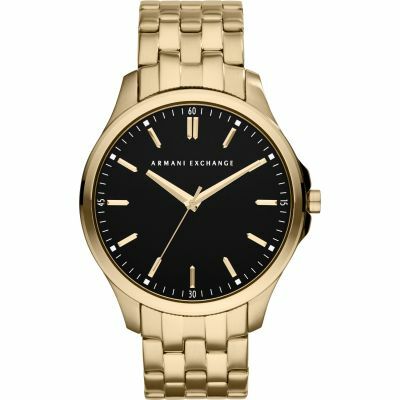 This is a very nice watch but unfortunately the watch face was a lot bigger than I envisaged and so I will be returning this item,I will however look for a similar watch more suited to me. Bought for my sons 21st, looks great and he is delighted with it. Unfortunately the watch face was too big so I have had to send the watch back. However the watch itself is really nice its just it looked too big on my husbands wrist. Nice watch, good weight the dial is of a decent size. Quick delivery but deliverer left parcel on doorstep I live in a kind of bad area good quality product overall apart from delivery problem. 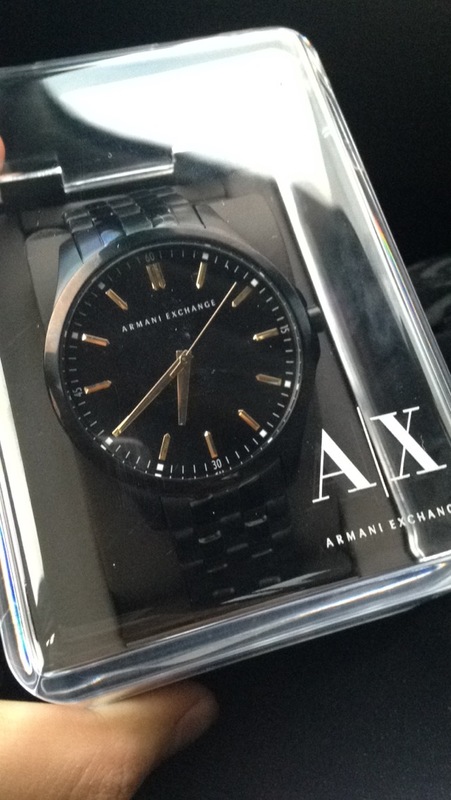 Bought this watch for my boyfriends birthday, he loves it and couldnt be happier with the product. Even better looking in person than on pictures, as the pictures dont do the beauty of the watch justice. I thought the service was excellent and would recommend Watch Shop to friends and family. Watch was bought for my sons 16th birthday . We both love the watch . Classic style . Easily adjusted at jewellers. Overall extremely pleased with my purchase. Brilliant service, ordered the day before Christmas eve and was delivered as promised on Christmas eve! Iv was kept up to date throughout the process and was not given any reason to worry or doubt their service. A good price paid for a top brand product that was loved by the recipient! Lovely watch. Received my order really quickly. Very pleased with quality for a great price. This watch is absolutely gorgeous. Bought it for my boyfriend as a gift and fell in love with it as soon as I saw it. Was easily adjusted to size by a jewler. Would recommend! This watch turned out to be better than I anticipated. It was a gift for my husband and he actually loved it. Initially I was worried that he wouldnt like it because hes very picky with these things. 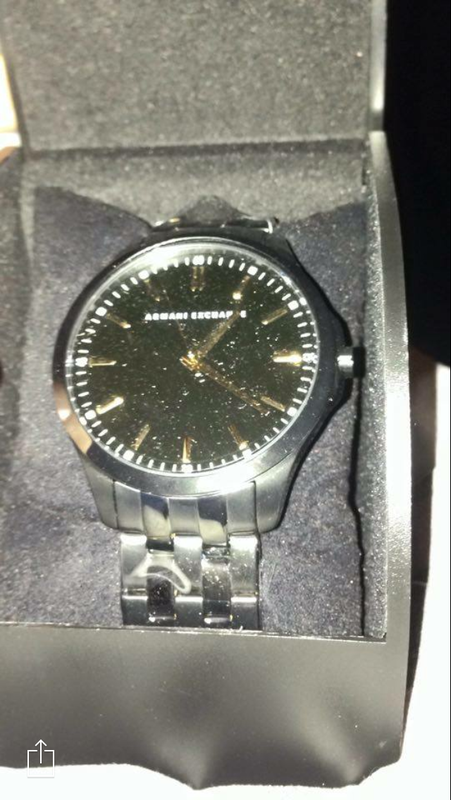 The watch is ceramic so on the website it gave me the impression that although its black, it wouldnt be black-black. But seeing the watch in person, it had less of the grey-black look and was actually a deep dark black. The watchs face is large and it sits well on my husbands hand. We had to get some links taken off, but after that, it was a perfect fit! The gold numbering makes the watch stand out from afar and gives the watch a slightly more classy look to it. The ceramic feels like metal and looks like metal but is slightly lighter than metal. It gives it a matte-gloss like feel to the whole watch which completes the look even better. All in all, I would definitely recommend this watch. It was the perfect gift for my husband and Im extremely happy with the purchase. Amazing watch at an amazing price. I love the idea of a price match and saved a lot through that and the online discount. The watch is even more gorgeous in real life and Im super happy with my purchase. Will be purchasing and recommending the watch shop in the future! Lovely watch, came very quickly, was worried about the gold bits being yellow but not at all. Beautiful watch, great price! 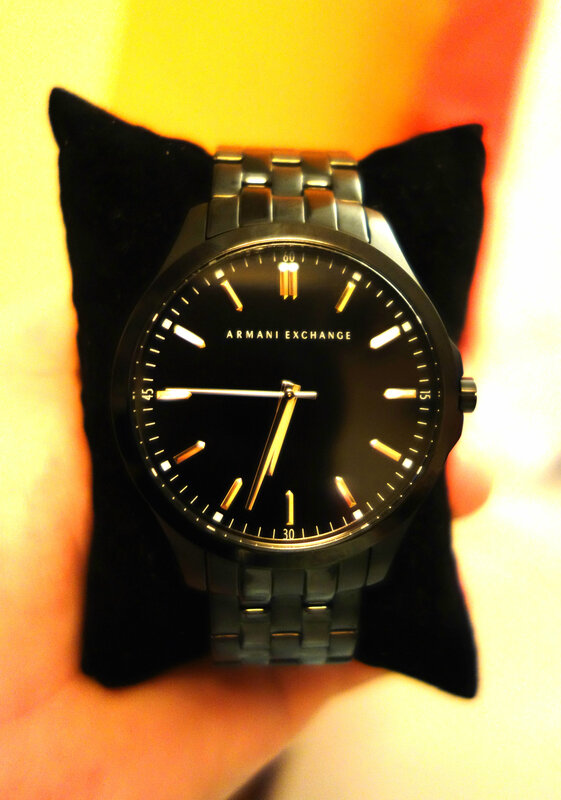 This was the favourite of all the watches ive seen for my fiancé without considering the price. Have had lots of comments on what a nice watch it is. Bought this watch for my twenty year old son. It is very sleek and stylish, looks much more expensive than it was. Love the simple features on the face and elegant strap. A watch that will go with anything and will not date. Bought this as a present for my other half. Really lovely watch. Expensive looking. Very good value for money. Only one comment was that I thought that the face was quite large - but then it is a mans watch and Im looking at it from a female perspective. Brilliant watch, very nice when on , I would suggest anyone to use the watch shop.